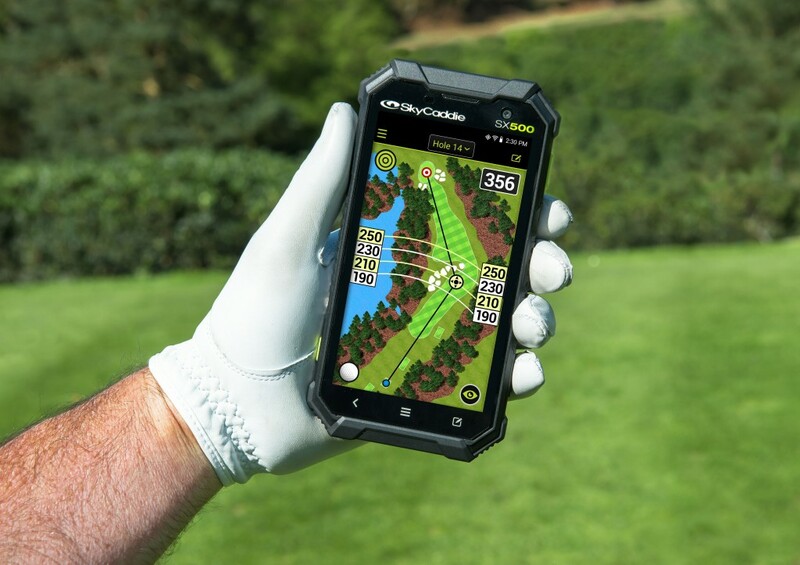 A limited number of SkyCaddie SX500s were handed out to competitors at the start of play, and it was an early opportunity for UK pros and amateurs to try the new device under the pressure of tournament conditions. The event was won by the team from Hendon Golf Club: the club’s PGA professional Matt Deal and Club Captain Lawrie Nicoll also used the SX500 throughout their round, to guide them through a golf course which neither had played before. 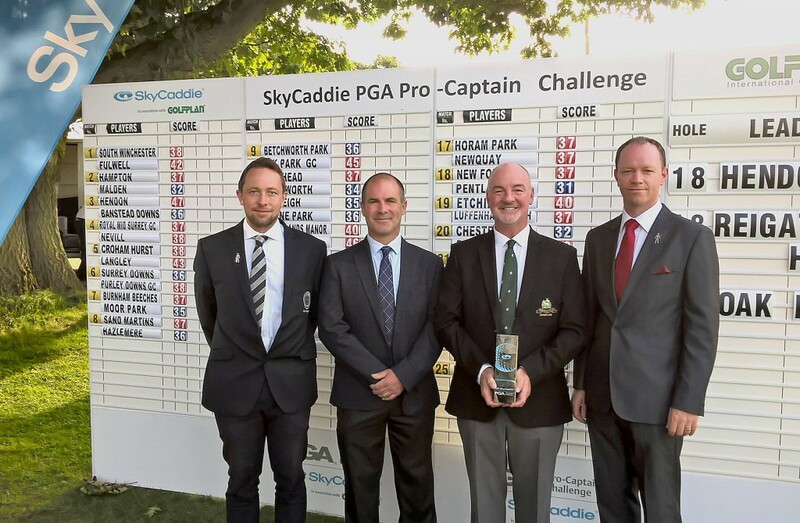 “The SX500 definitely helped us to understand where to place the ball, and avoid the hazards” said Deal, who with Nicoll has now qualified for this year’s SkyCaddie PGA Pro-Captain Challenge in association with Golfplan Final, to be held at Arabella Golf Mallorca on the 6th – 7th November this year. The 15-handicapper is a regular laser user, but had this to say about the SX500’s PinPoint feature. “We had the day’s pins pre-loaded onto the SkyCaddie, which enabled me to hit with confidence in my yardage. But rather than just focusing on the pin, which you tend to do with a laser, the SX500 also gave us lots of peripheral info about the hole ahead, and we used it on every hole to pick our way around the golf course. The SkyCaddie SX500 will be widely available in the UK from late September. Place your pre-order with your PGA professional now. See www.skycaddie.co.uk for all SX500 information.